Enjoy the top 31 famous quotes, sayings and quotations by Buddy Guy. Your mind is on vacation and your mouth is working overtime. It's kind of hard to keep going sometimes but you just have to believe in what you are and what you can do and that's the way to success. When you play the guitar, you don't have to say nothing. The girls would say something to you. 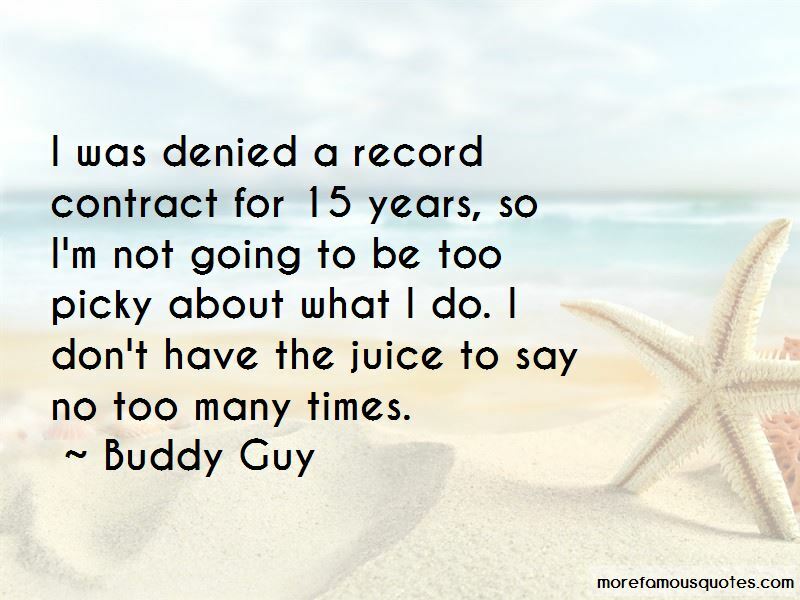 I was denied a record contract for 15 years, so I'm not going to be too picky about what I do. I don't have the juice to say no too many times. 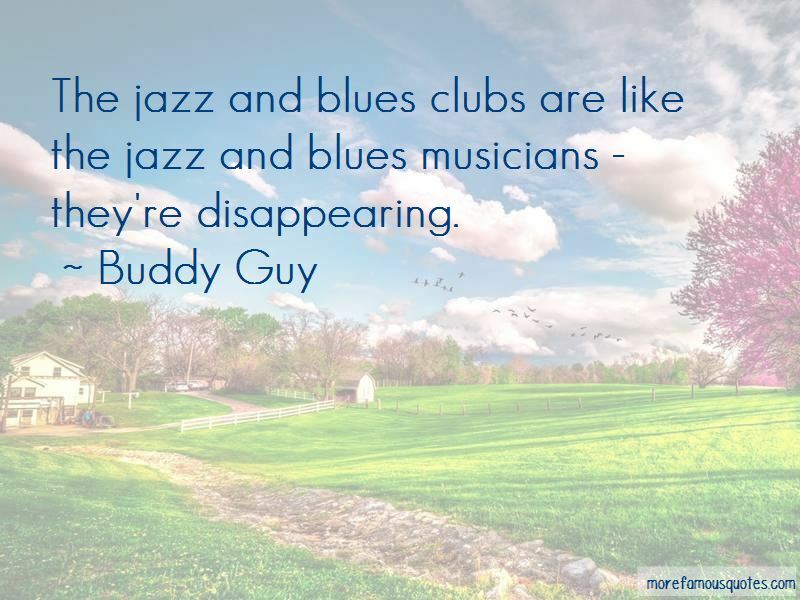 The jazz and blues clubs are like the jazz and blues musicians - they're disappearing. 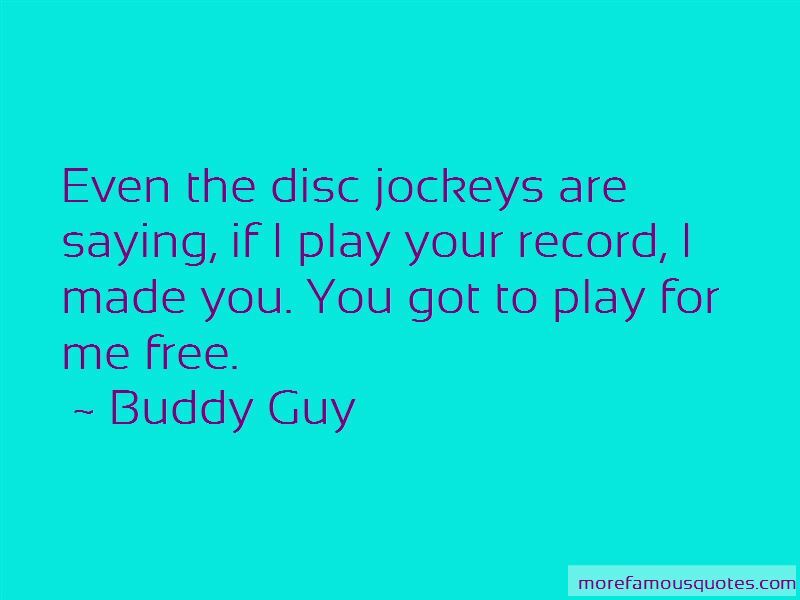 Want to see more pictures of Buddy Guy quotes? 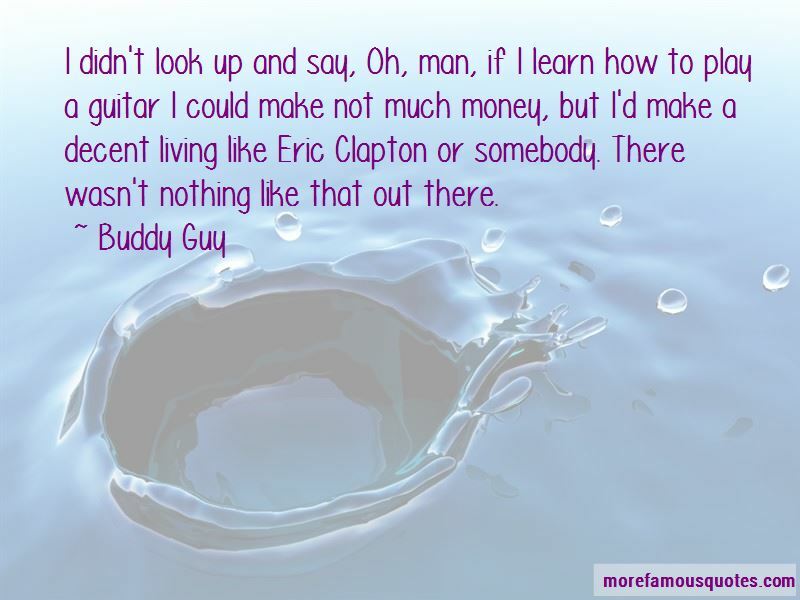 Click on image of Buddy Guy quotes to view full size.